Before you apply for a loan, getting pre-approved will help you establish how much you can borrow. Most, if not all, sellers require a current pre-approval letter with an offer. Getting pre-approved also lets you focus on homes within your price range instead of wasting time looking at homes that you won't be able to afford. 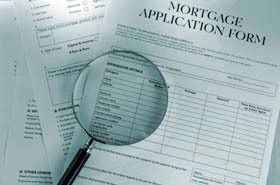 While searching for the right loan program, there are many things to take into consideration. For example, you might want to think about how long you plan on keeping the loan. The length of your residence will determine the type of loan you want to get (i.e. adjustable or fixed). To figure out which loan program is the best, one will need to compare different programs and everything that each one involves such as rates, fees and points. The whole process can be tedious and difficult at times, which is why a qualified loan officer can help you make the right decision. I can refer you to qualified, reliable and competitive lenders in the area who know the many financing options currently available. Try not to change jobs during the process. Many lenders now require 3-6 months of pay stubs from your current employer.